E-mail is an important method of communication in the Wired. In Layer 01, Lain, among other girls at her school, receives an email from the deceased Yomoda Chisa. 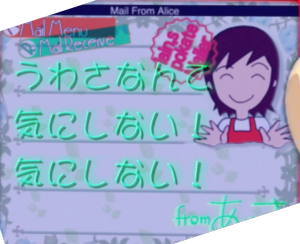 Much of the communication between Lain and Alice is via email on their HandiNAVIs. This page was last edited on 21 April 2014, at 07:14.